The following is a statement of Matrix Electrical Engineering Ltd’s health and safety policy in accordance with Section 2 of the Health and Safety at Work etc. Act 1974. It is the policy of Matrix Electrical Engineering Ltd to ensure so far as is reasonably practicable, the health, safety and welfare of all employees working for the company and other persons who may be affected by our undertakings. Matrix Electrical Engineering Ltd acknowledges that the key to successful health and safety management requires an effective policy, organisation and arrangements, which reflect the commitment of senior management. To maintain that commitment, we will continually measure, monitor and revise where necessary, an annual plan to ensure that health and safety standards are adequately maintained. Managing Director will implement the company’s health and safety policy and recommend any changes to meet new circumstances. 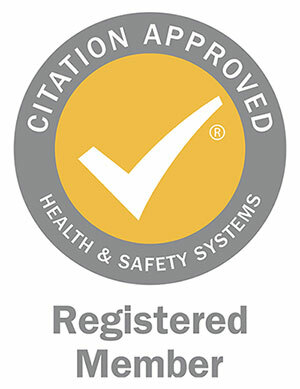 Matrix Electrical Engineering Ltd recognises that successful health and safety management contributes to successful business performance and will allocate adequate finances and resources to meet these needs. The management of Matrix Electrical Engineering Ltd looks upon the promotion of health and safety measures as a mutual objective for themselves and employees. It is therefore, the policy of management to do all that is reasonably practicable to prevent personal injury and damage to property. Also, the organisation aims to protect everyone, including visitors and members of the public, insofar as they come into contact with our activities, from any foreseeable hazard or danger. All employees have duties under the Health and Safety at Work etc. Act 1974 and are informed of their personal responsibilities to take due care of the health and safety of themselves and to ensure that they do not endanger other persons by their acts or omissions. Employees are also informed that they must co-operate with the organisation in order that it can comply with the legal requirements placed upon it and in the implementation of this policy. Matrix Electrical Engineering Ltd will ensure continued consultation with the workforce to enable all viewpoints and recommendations to be discussed at regular intervals.